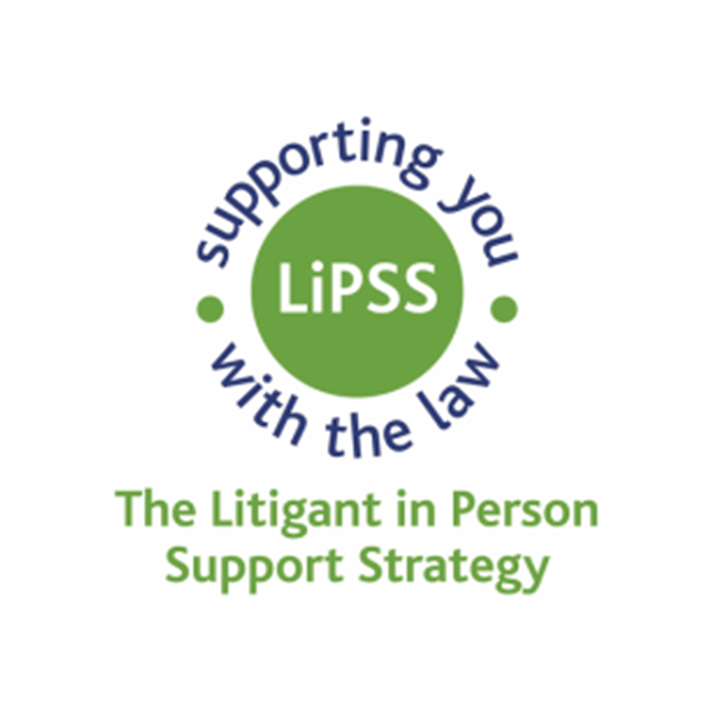 The Litigant in Person Support Strategy was created to provide additional support to help Litigants in Person facing civil or family court proceedings. The aim is to make help visible and available so that Litigants in Person can do three important things 1. Know what support is available to them 2. Access appropriate practical support and information 3. Have a route to some free or affordable legal advice The first phase of the project focused on extending existing services for Litigants in Person through Law for Life, the Personal Support Unit, LawWorks and RCJ Advice. However, the premise of the Support Strategy is that through networking, collaboration and shared thinking, we will all be stronger and more effective in meeting the needs of Litigants in Person, and therefore the second phase of the project therefore focuses on creating an effective support network for all those organisations and individuals working in this area. LIPSS oversees and coordinates the Litigant in Person Network, is a new online platform which connects a cross-sector group of professionals with a common goal of improving access to justice. This group includes members of the advice sector, legal professionals, academics, the judiciary, court and tribunal staff.